The first time I tried grapefruit I was six years old. Expecting a sweet, grape-flavored orange, I instead encountered a bitter, pulpy citrus fruit that required way too much hand-eye coordination to eat. Ever since, I’ve wondered how the heck did grapefruit get its name? But few other languages make the link between grapefruits and grapes. In Romance languages, “grapefruit” usually shares the same name as its ancestor, the pomelo (pompelmo in Italian and pampelmusa in Spanish). Romanian is the only romance language to distinguish the two, using the Anglicism grepfrut. 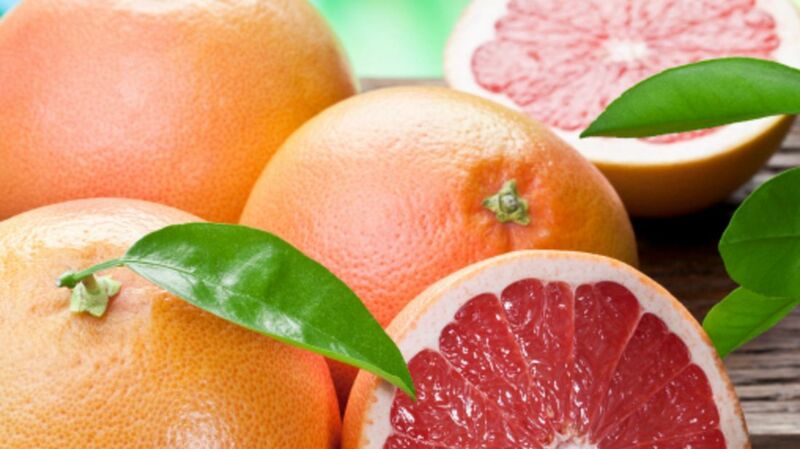 A few other languages have also adopted the American word “grapefruit,” even though they don’t have the same word for “grape,” such as Dutch (grapefruit), Swedish (grapefrukt), and Turkish (greyfurt). But this has led some etymologists, chiefly John Ciardi, to suspect that grapefruit is also named after the pomelo. The pomelo’s scientific name is citrus maxima, which can reasonably be translated as "great-fruit," a reference to both the pomelo and the fruit’s size. After a few decades, that may have gotten corrupted into grapefruit. Name aside, the origin of citrus paradisii has been a mystery to historians for years. Grapefruit, first found in the West Indies in the 1700s, is the first citrus strain to originate in the Americas. The grapefruit is a cross between the pomelo and the orange. It’s unclear whether the fruit was a deliberate hybridization or a horticultural accident; most grapefruit haters believe the latter. In America, grapefruit is a newbie to the produce aisle. It arrived in the U.S. in 1823 but was not immediately popular (for good reason) and didn’t become a commercial industry until 1885. The fruit became a household favorite in the 1940s, and today America is the second-largest producer and consumer of grapefruit in the world, after China. Grapefruits aren’t just deceptive in their flavor—they’re also tricksters with their scent. According to a study by the Smell and Taste Institute of Chicago, men perceive women to be up to six years younger than they actually are when they catch a whiff of grapefruit scent. So even if you’re not a fan of the flavor, some grapefruit perfume or air freshener might be a worthwhile investment.